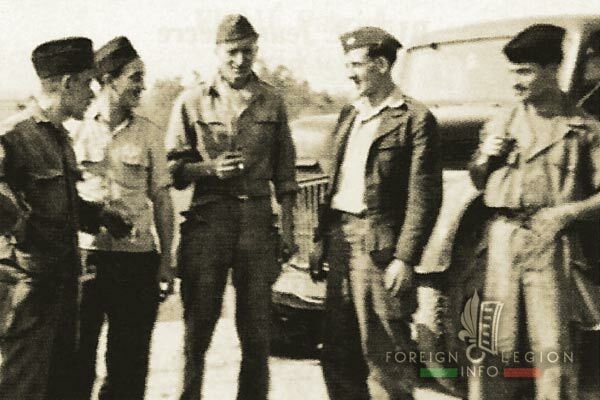 The 38th Dump Truck Company (38e CCB) was a Foreign Legion engineering unit constituted in France in 1947. 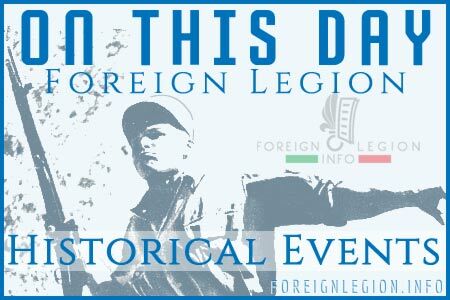 Its main task was to support French troops during the First Indochina War (1946-54). The unit was providing transportation of building materials and supplies by truck. It also participated in road building. The 38e CCB was dissolved in 1955. The insignia of 38e CCB, created by Captain Perrotte in 1947. 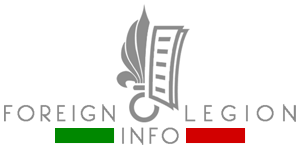 It is made in red & green colors (Legion colors). 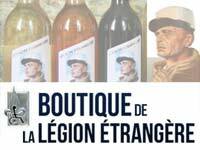 The insignia bears the seven-flame grenade of the Legion + a half of a cogged wheel in black (to symbolize French engineer transportation units) and a GENIE inscription (Engineers in French). Members of 38e CCB in Hanoi in 1950. Note that the legionnaires and French engineers wear the calot (side cap) instead of kepi. 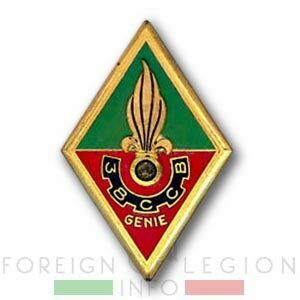 The fanion of 38e CCB in 1953-54. 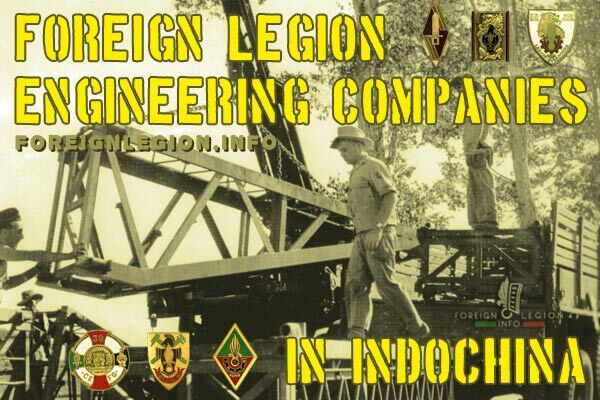 It bears the Legion’s motto Honor & Fidelity, and the War Cross with two stars, representing the mentions in dispatches in the order of the brigade and the division from October 1950 and February 1953. 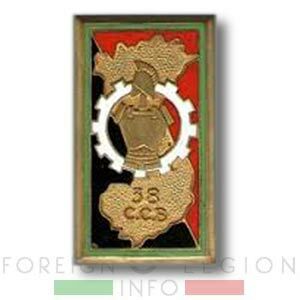 The new insignia of 38e CCB from 1954, most likely created by Lieutenant Corolleur. 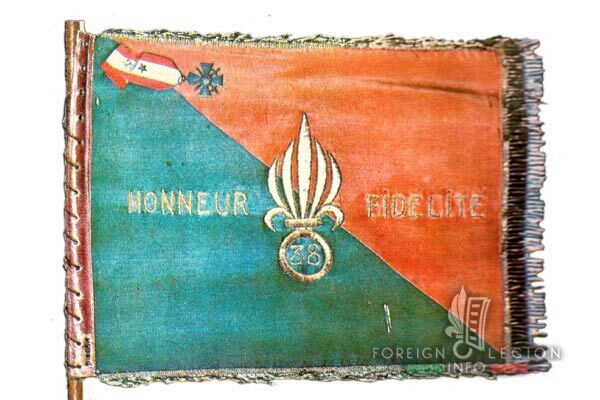 It bears French engineer unit symbols and a map of French Indochina. 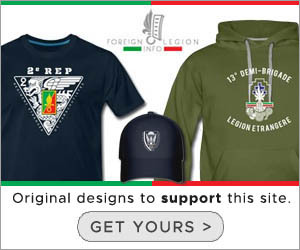 The Legion is represented only by red & green colors. At the time, the vast majority of legionnaires had already left the unit.